The breakfast is made from organic vegetable, they are very fresh , and the staffs are really helpful. 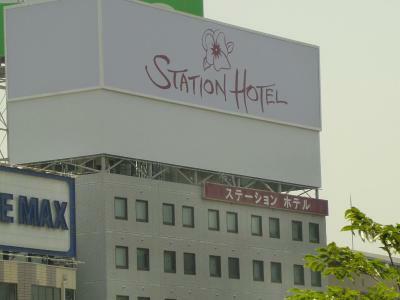 Hotel was very close to SHin osaka station - which was what I needed for this night. The front dest staff were friendly and when I told them I couldn't make it to breakfast becuase I had to leave early for a flight they gave me a muffin which was very nice. Breakfast was great but more choices would have been better. Same as shown in pictures, on top of shopping centre there easy access to food and daily needs. 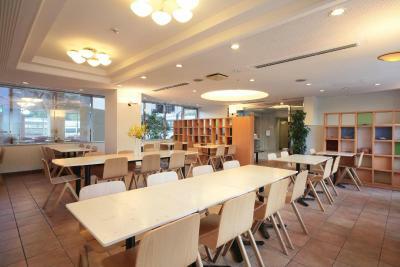 It is a business hotel with the level and amenities expected of a business hotel in Japan. Bed was really comfortable and the staff was very nice and helpful to me. 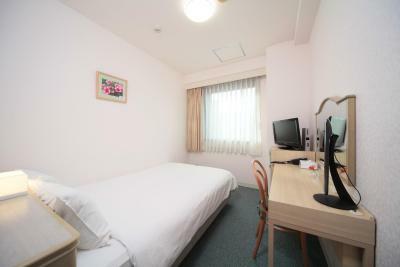 Very spacious room by Japanese standards. Good airconditioning. Nice breakfast. Extremely friendly staff, very clean, and a great breakfast included! 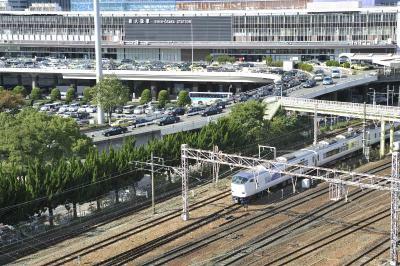 The hotel was just walking distance away from Shin-Osaka Central and East Exit. The hotel offered free bottled water and a breakfast meal was also included in my booking. The best part is the room was able to keep the noise to a minimum (train and rain sound-wise), I’m a light sleeper and I easily get woken up by sounds but I did have a good sleep at this hotel! Close to the station - 5 minutes walk from the east exit. The Japanese breakfast was really yummy and good value with handmade tofu, handmade yoghurt and organic salad. Easy access with public transport. 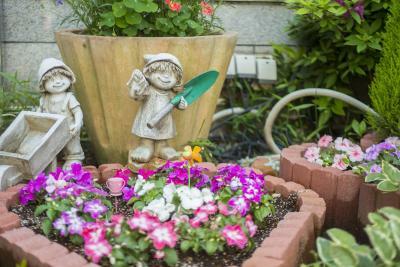 5-10 minutes walking distance from Shin Osaka Station. There's also convenient store around the corner. 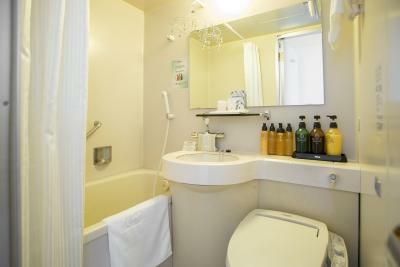 Shin-Osaka Station Hotel Annex This rating is a reflection of how the property compares to the industry standard when it comes to price, facilities and services available. It's based on a self-evaluation by the property. Use this rating to help choose your stay! 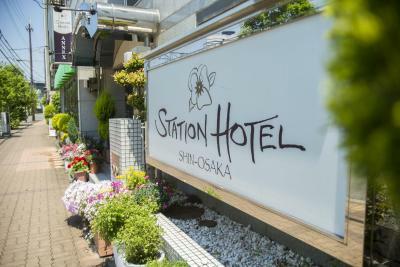 Featuring an organic restaurant and 24-hour reception, Shin-Osaka Station Hotel Annex is just a 5-minute walk from Shin-Osaka Train Station. 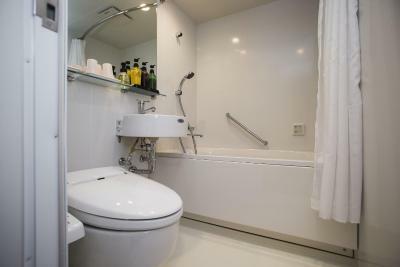 Rooms include wired internet and a private bathroom with bathtub. 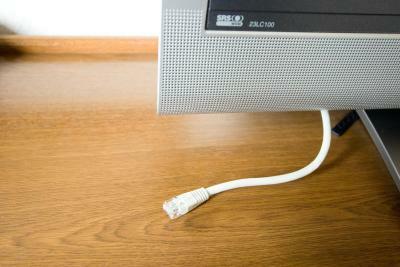 Free Wi-Fi is available throughout the hotel. 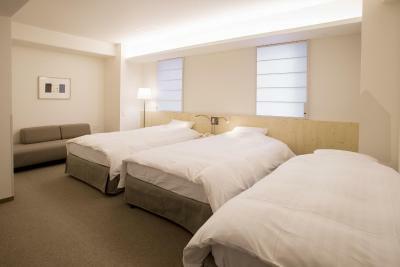 The air-conditioned rooms at Hotel Shin-Osaka Station Annex feature a relaxed, neutral decor. Guests can enjoy watching satellite channels on the flat-screen TV, and Tempur pillows can be borrowed from reception. 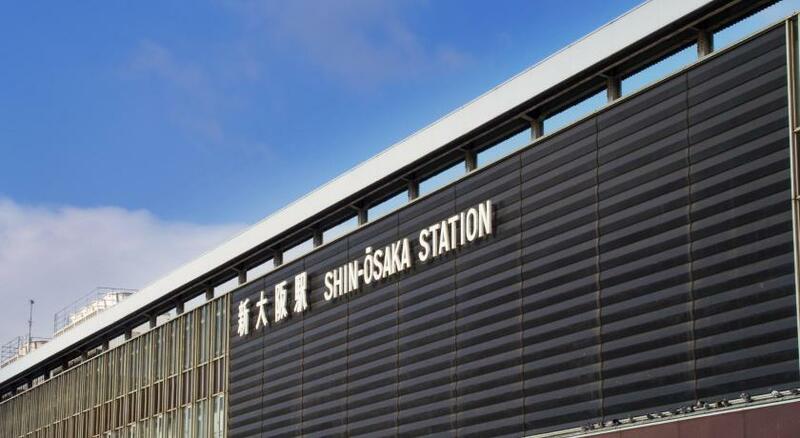 Nearby Shin-Osaka Station offers easy travel into Osaka, and bullet trains use the station. Osaka Castle, the Umeda Sky Building and the popular Dotonbori area are all about a 20-minute taxi ride away. Luggage storage and safe deposit services are available. 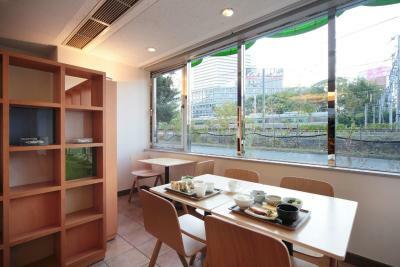 The Shin-Osaka Annex Hotel’s restaurant offers breakfast and lunch in a bright, open setting. 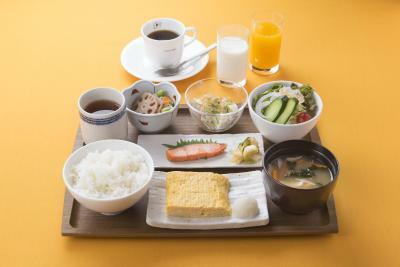 Western and Japanese breakfasts are served. 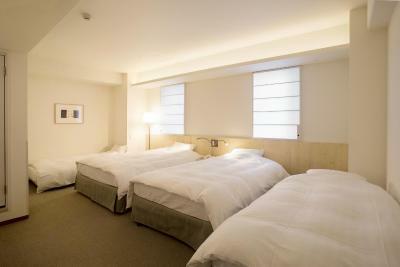 When would you like to stay at Shin-Osaka Station Hotel Annex? This air-conditioned room features a relaxed, neutral decor. Guests can enjoy watching satellite channels on the flat-screen TV, and Tempur pillows can be borrowed from reception. Room featuring a semi-double bed (47 in wide). This air-conditioned room features a relaxed, neutral decor. Guests can enjoy watching satellite channels on the flat-screen TV, and Tempur pillows can be borrowed from reception. This room accommodates 2 people. 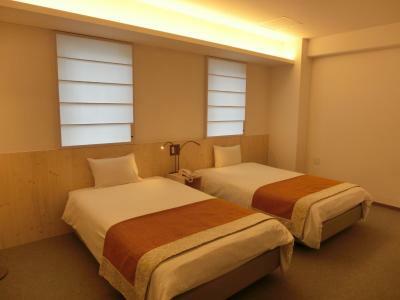 This air-conditioned room features 2 semi-double size beds (47 in wide) and a relaxed, neutral decor. Guests can enjoy watching satellite channels on the flat-screen TV, and Tempur pillows can be borrowed from reception. 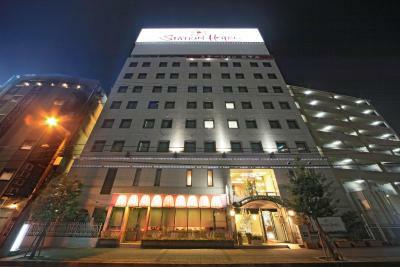 House Rules Shin-Osaka Station Hotel Annex takes special requests – add in the next step! Shin-Osaka Station Hotel Annex accepts these cards and reserves the right to temporarily hold an amount prior to arrival. 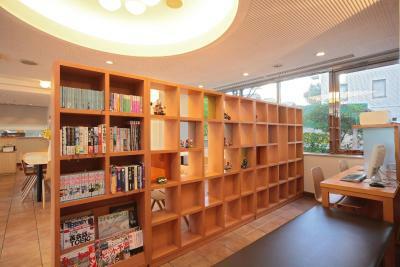 Please note, as of 09 April 2019, the check-in and key-collection take place at: 1-16-6 Higashiyodogawa-ku, Higashinakajima, 533-0033, Osaka. There are many buildings with the same name. The distance from station to the hotel is around 300 m.
Not much, just the toilet paper could be better (it's only one ply, but seems to be the case in most places in Japan). Staff very polite & helpful. Included breakfast was a bonus. Highly recommend. You have to walk some distance plus you have to take the pedestrian overpass to reach the hotel from the station. If you have heavy luggage, it would be quite an effort to reach the hotel. Rooms were bigger than usual, very clean. Hotel looked much older and aged than I had expected. It looks like it's time for renovation. The room looks like someone was using it before we arrived. The room is very small and old, and looks more like an hostel room. Clean and comfortable. Good breakfast. Hard bed. But that's normal in Japan.